Join us in the cafeteria after drop-off on August 20th (a.k.a. the First Day of School!) from 8:00-8:45 a.m. to celebrate your first successful morning of early wake-up/get-ready/get-to-school-on-time of the new year! 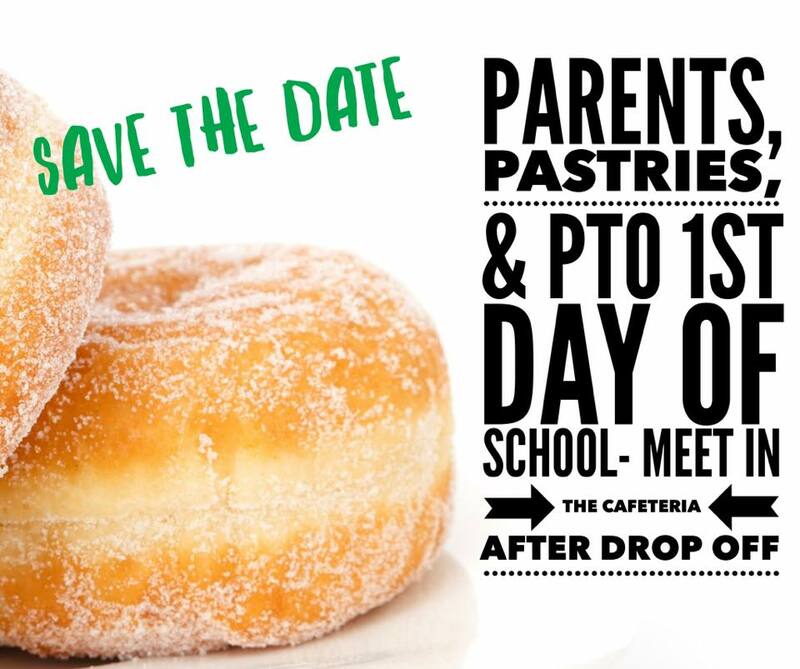 Mingle with fellow parents and with members of our PTO board, and let’s start this year off with goodies and good company. HUGE thanks to Peace, Love & Little Donuts and Chick Fil-A for sponsoring!